Hasta la vista, Uncle Sam! 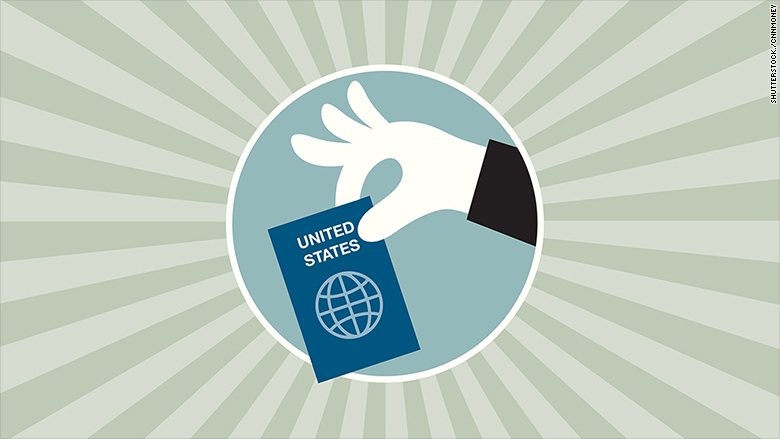 A record 1,335 Americans gave up their passports in the first three months of the year, according to new data released by the U.S. government. That's nearly 40% of the 3,415 Americans that renounced citizenship last year, suggesting that U.S. renunciations will again hit a new high this year. 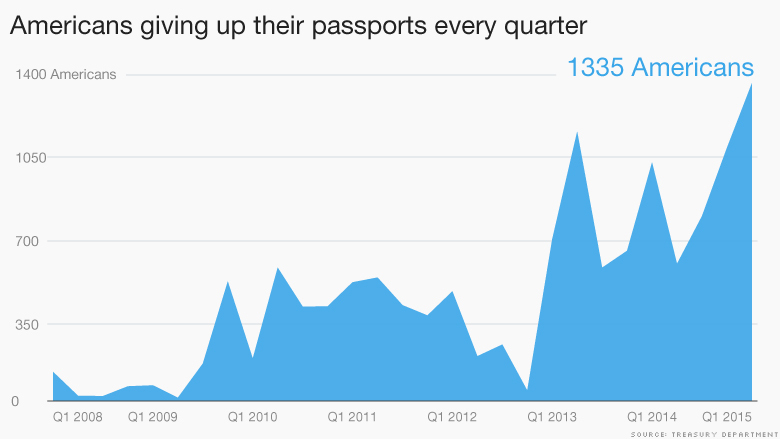 In 2014, the number of Americans who gave up their passport was 15 times higher than in 2008. The surge in renunciations is part of a backlash from expats who are tired of handling complicated tax paperwork, a burden that has increased in recent years as a new tax law kicked in. Unlike most countries, the U.S. taxes citizens on all income, no matter where it is earned or where they live. The piles of paperwork can be so complex that expats often must seek professional help, forking over high fees to accountants and lawyers. It's common for Americans living abroad to spend thousands to prepare even a relatively simple tax return. And the headache is only getting worse. One new law designed to catch tax cheats -- the Foreign Account Tax Compliance Act -- requires individuals to report certain foreign assets, and for banks to disclose all foreign accounts held by Americans. That's in addition to another provision that mandates Americans to disclose foreign bank holdings worth more than $10,000. The regulations are part of a wider U.S. government effort to battle tax evasion, especially after major Swiss banks admitted to helping Americans hide assets offshore. But the campaign is making life difficult for the 7.6 million Americans living abroad. As financial institutions rush to understand FATCA, some banks have even kicked out American citizens. If a bank mistakenly fails to report accounts held by Americans outside the U.S. -- even checking and savings accounts -- they can face steep penalties. Of course, some Americans renouncing are very rich -- like former Facebooker Eduardo Saverin, who famously left the U.S. for Singapore. It's possible that by renouncing, they'll pay lower taxes in the future. But it's illegal to renounce your U.S. status simply to get out of paying taxes, and giving up your passport now doesn't mean Uncle Sam won't hunt you down later for back taxes. Correction: An earlier version of this article misstated the number of Americans who renounced in the first three months of the year. It is 1,335, not 1,337.